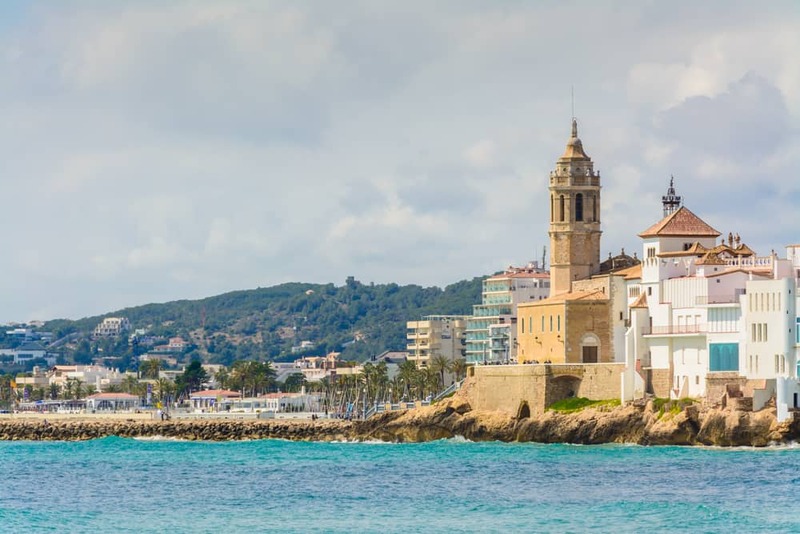 Dear bike lovers, we’ve got the perfect plan for you if you are tired of riding your mean machine in our crowded Barcelona: take a day off to Sitges. We have created an itinerary mixing culture, art, history, and simply nature, going through Castelldefels and the Garraf Park. 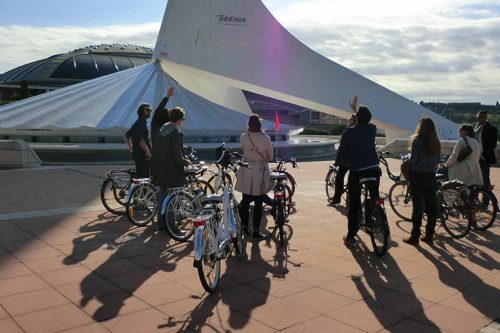 It can take between 4h30 to 6h30 to complete it, according to which itinerary you choose, and it includes some steep climbs, so we only recommend it to experienced cyclists – or if you are up for the challenge be careful and don’t hesitate to take a loooooooot of breaks! We have traced the itinerary from a rental shop in central Barcelona to the Fragata Beach in Sitges, but you can adapt it to your wishes. So you just need to follow each step of this article, relax, grab your bike and ride! 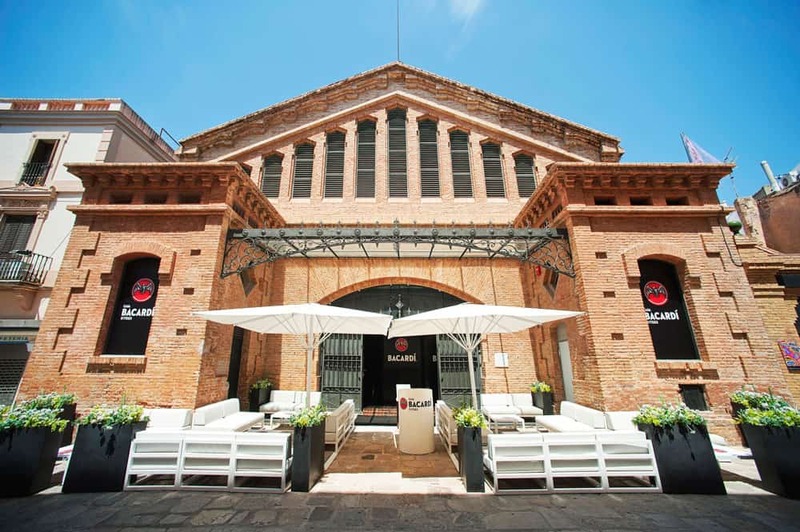 Visit the Casa Bacardi, in the beautiful Mercat Vell building. Learn how to make nine cocktail and choose two cocktails to make yourself. Visit the Cau Ferrat Museum and Maricel Museum for only 10€/7€*. Visit the Stämpfli Foundation and the Maricel Palace for 5€/3.5€* each. Or all the museums are free on every first Wednesday of the month! Relax for the rest of the day on one of the many beaches in Sitges. Since you have the luck to have your bike, try to go to the most southern beaches of the city to avoid the crowd (go after the beach de la Riera Xica), as people tend to stay close to the city center. You will find gay-friendly and nudist beaches as well as family beaches. Still have energy? You can go back by the route along the coast -> busy road, not recommended for family, experienced bikers only! Stop to admire the Bodegas Güell building: Güell’s winery built by Gaudi in 1897. Can’t wait to be home? Take a train back to one of these three stations in Barcelona: Estacio de França, Passeig de Gracia or Estacio Sants. Want to do the trip in the other direction? From one of the three train stations in Barcelona look for either “Vilanova i la Geltru” or “St. Vincenç de Calders” as final destinations, and then stop at Sitges. Eat a great breakfast before leaving, you don’t want to ride on an empty stomach. Check your itinerary to know where you’re going. If you go by yourself inform someone of your itinerary and have an emergency contact on you in case something happens. Water and snacks, there aren’t many places to stop to buy food in the Parc del Garraf. If you’re planning on going to the beach at the end of your journey: swimming suit and towel. When to do the trip?